An adorable pink ribbon pin covered in daiseys. 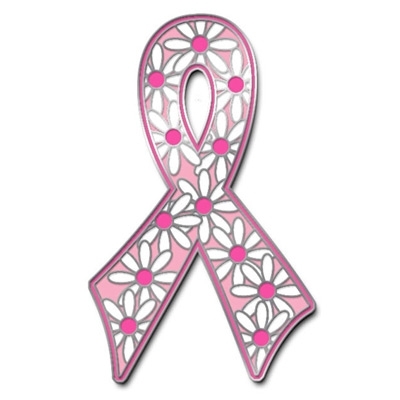 A must for your pink ribbon pin collection and a great gift for your friends! This pin also comes in a Keychain! Cloisonne pin measures 1 1/4" x 1 3/4".